A Cornish businessman has jumped on board a major fundraising drive to buy Cornwall's next air ambulance and save more lives across the county. Alastair Carnegie, Managing Director of energy broker Total Energy Solutions, has been invited to join the fundraising board for the £2.5m New Heli Appeal. The panel of board members, which includes the High Sheriff of Cornwall Paul Young-Jamieson, will be responsible for coming up with fundraising ideas over the next two years. The charity wants to buy a medically advanced Augusta Westland 169 (AW169) helicopter by April 2020, which is when the lease on its current aircraft runs out. 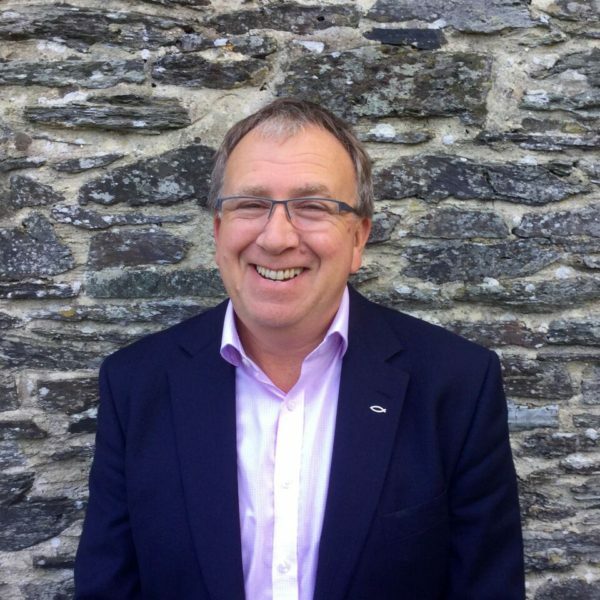 Alastair said: “Our firm has been supporting the charity for several years and I was truly honoured to be asked to join the CAAT Appeal board. The new state-of-the-art helicopter will save lives and be a great legacy for Cornwall. I can't wait to get going." Paula Martin, Chief Executive of Cornwall Air Ambulance, said: "Ali and his team have been helping Cornwall Air Ambulance for over five years and has really helped us to manage our energy costs. "Ali's commitment to this charity has now gone a step further and we are all thrilled he has joined our special Appeal Board. The challenge we have ahead of us to raise £2.5m in less than two years is enormous, but with the help and advice of people like Ali, and the support of the people of Cornwall, we will be able to save more lives in the future." The new helicopter will have more than double the fuel range, which means it will be able to fly from Cornwall to Bristol without the need to refuel, unlike the current air ambulance in operation. It also boasts a more powerful engine with the ability to carry more lifesaving equipment, is 4G enabled for in-flight patient data transfer to hospital, and with more space provides 360 degree patient access enabling paramedics to treat a patient more effectively. Ambassadors of the New Heli Appeal are television stars and authors Richard Madeley and Judy Finnigan, who both share a love of Cornwall and have a property in the county. In a statement, they said: “We are delighted to have been asked to be ambassadors for Cornwall Air Ambulance. This is an incredibly important charity that directly saves lives and is one of the most important organisations in the county. During 2017, Cornwall’s current helicopter carried out 869 missions, airlifted 346 patients to hospital, dealt with 130 road accidents, carried 112 babies, children and teenagers and dealt with 316 heart related emergencies. 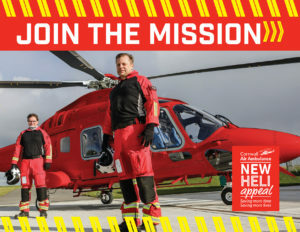 To find out more about the New Heli Appeal and how you can support it, log on to www.cornwallairambulancetrust.org.